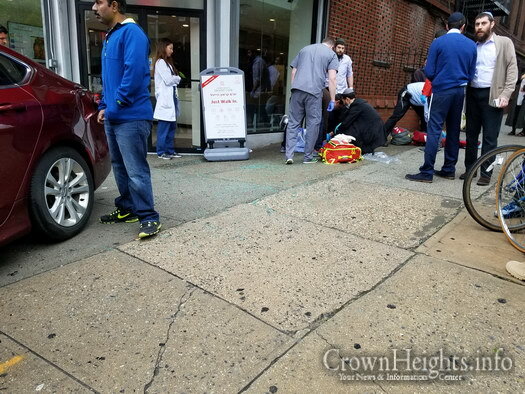 A Jewish man is in critical condition after he was hit by a car and thrown as much as 15 feet. 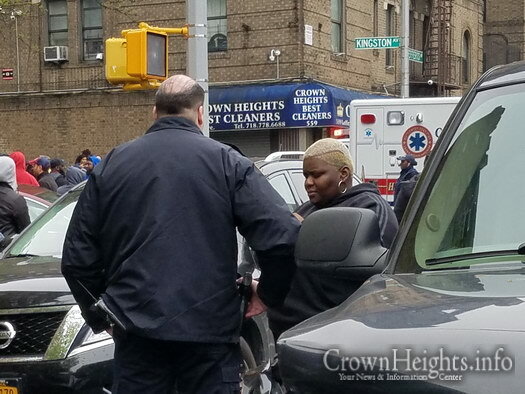 Horrified witnesses recounted seeing a speeding vehicle strike the victim, who was walking on the sidewalk. 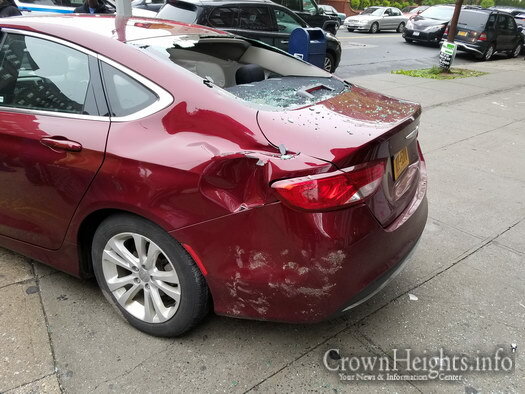 The incident occurred on Lefferts Avenue and Kingston Avenue at around 5:00pm on Friday afternoon. 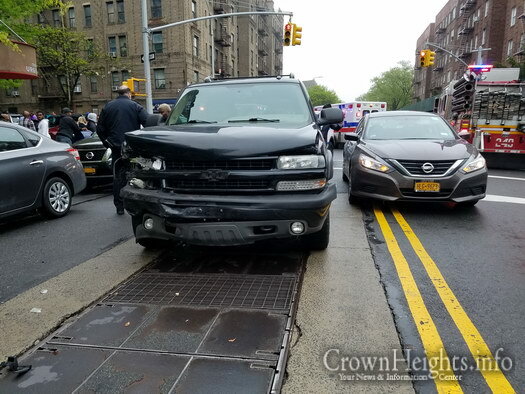 According to multiple witnesses the driver of a black Chevrolet Tahoe was speeding down Lefferts Avenue when she struck a red Chrysler 200 that was making a left turn from Lefferts onto Kingston Avenue. 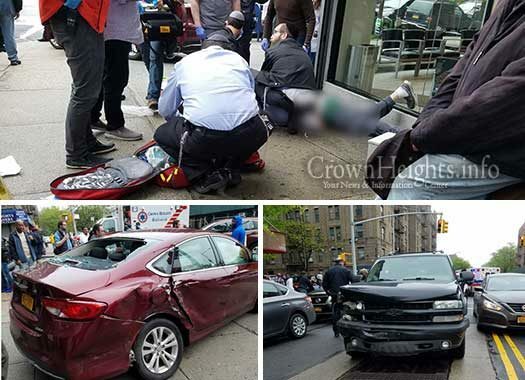 The force of the collision spun the red sedan around, and in the process struck a Jewish man who was walking on the sidewalk. 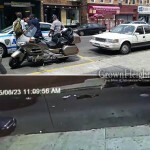 Horrified witnesses said that he was thrown in the air as far as 15 feet. 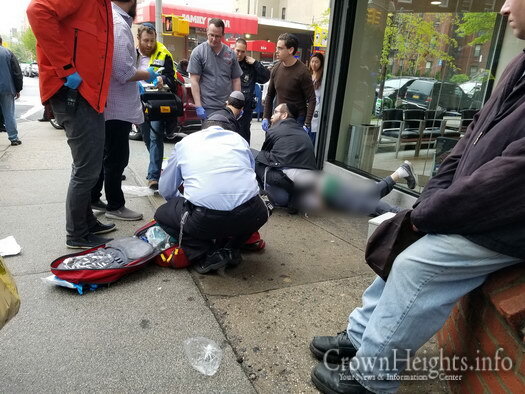 Hatzalah arrived on scene within minutes and immediately called for backup due to victims’ severity of injuries. 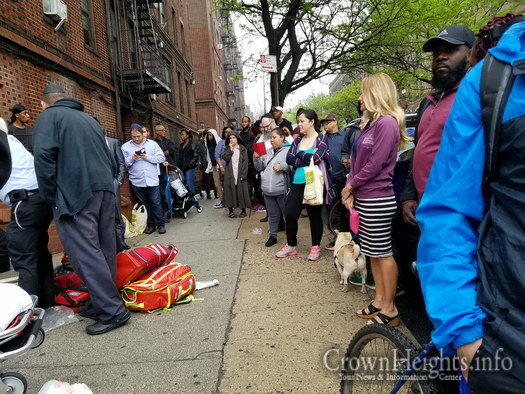 The victim reportedly sustained injuries to his head, shoulders and legs and is reportedly in serious but stable condition. 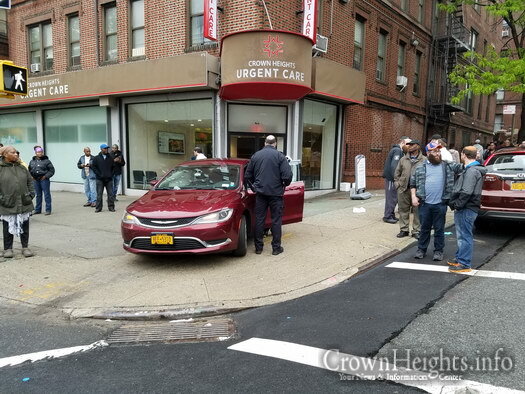 Hatzalah transported him to Kings County Hospital. 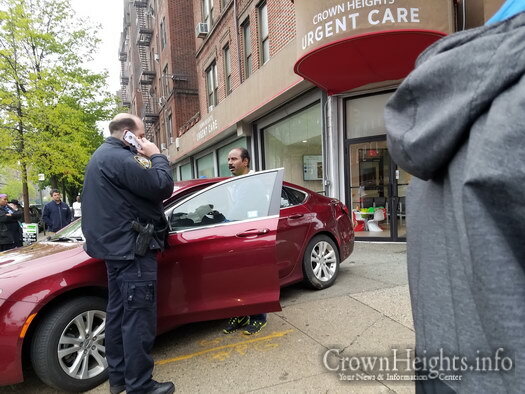 Police remained on scene investigating the incident. Why is everyone standing around watching like it’s a comedy show. Or a street actor performing. You don’t understand. 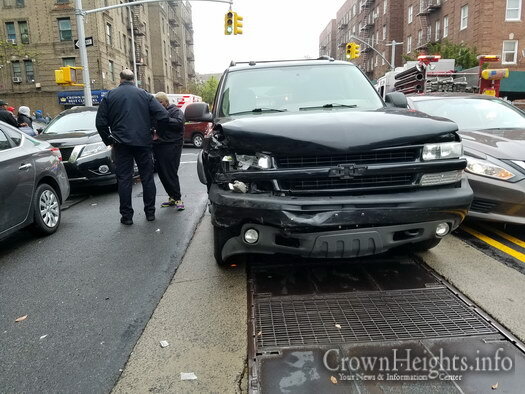 Perhaps grading the craftsmanship of Hatzalah workers. May god bless him to recover fully. Maybe they were in shock and couldn’t walk away from the horror? But other than that, you are correct. If Hatzallah is on the scene and there’s nothing more for you to do, say some tehillim and walk away. Please respect the dignity of the patient. Nobody wants people watching them in such a vulnerable situation. I hope he gets better asap! 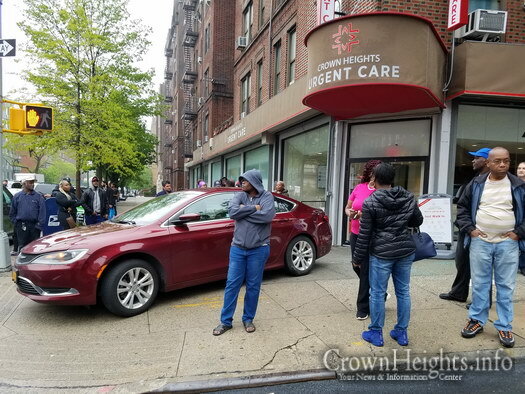 Thank you to Crown Heights Urgent care for their assistance. Is there a name for Tehillim? Does anyone have a name for Tehillim? 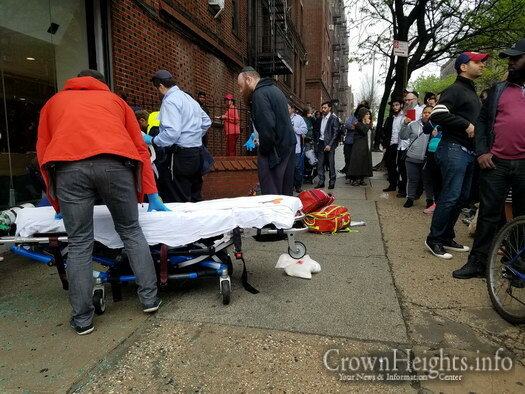 What’s the victim’s name, so we can say Tehillim? Any update on how he is doing? Name for tehillim? better yet. 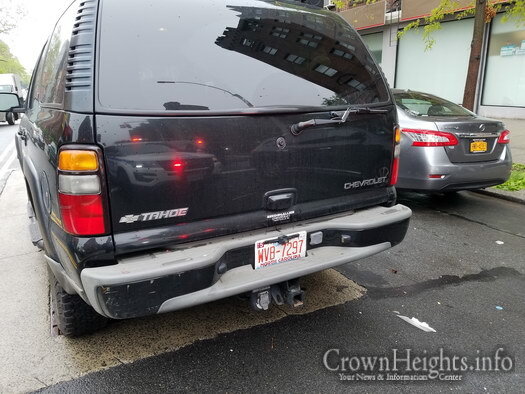 their car/van is taken away and a $10,000 fine. 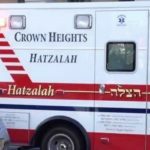 I think hatzolah kits should now come with split tehillim cards. 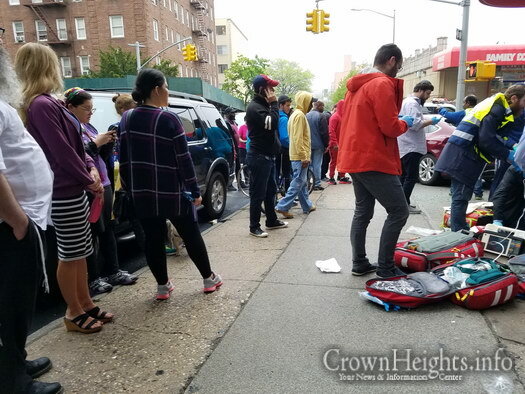 so that a hatzalah member can turn to all those who feel its necessary to stand around and actually let them be useful. Or there should be like mailbox things built on every corner holding a set so that wherever, whenever, there’s always tehillim around for those who are sitting idly. I was there. 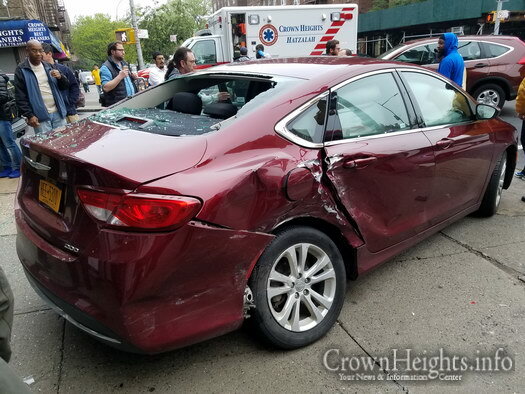 Hatzala was not on scene in minutes. They were there in less than a minute! They are amazing. 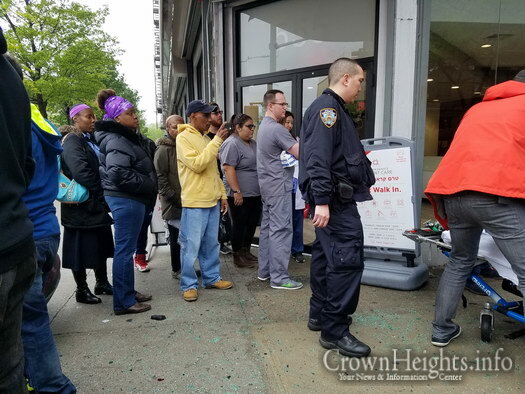 As for all the bystanders and those standing around taking videos and pictures, that’s another story.